Spar's liquor chain Tops has launched a "Sip of the Nation" drinking game. 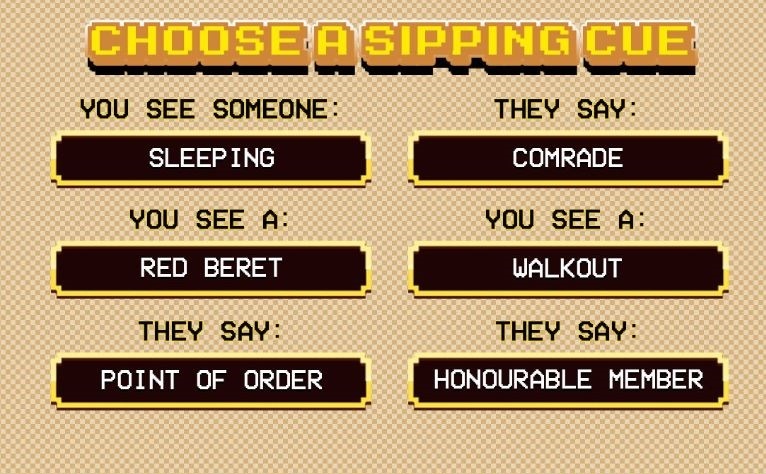 Participants have to take a drink on specific cues, which include spotting a red beret or hearing the words "Point of order". But if "expropriation" is mentioned, or SONA is cancelled due to chaos, everyone has to drink. Spar's liquor outlet Tops has launched a drinking game ahead of president Cyril Ramaphosa's State of the Nation (SONA) address in parliament on Thursday evening. 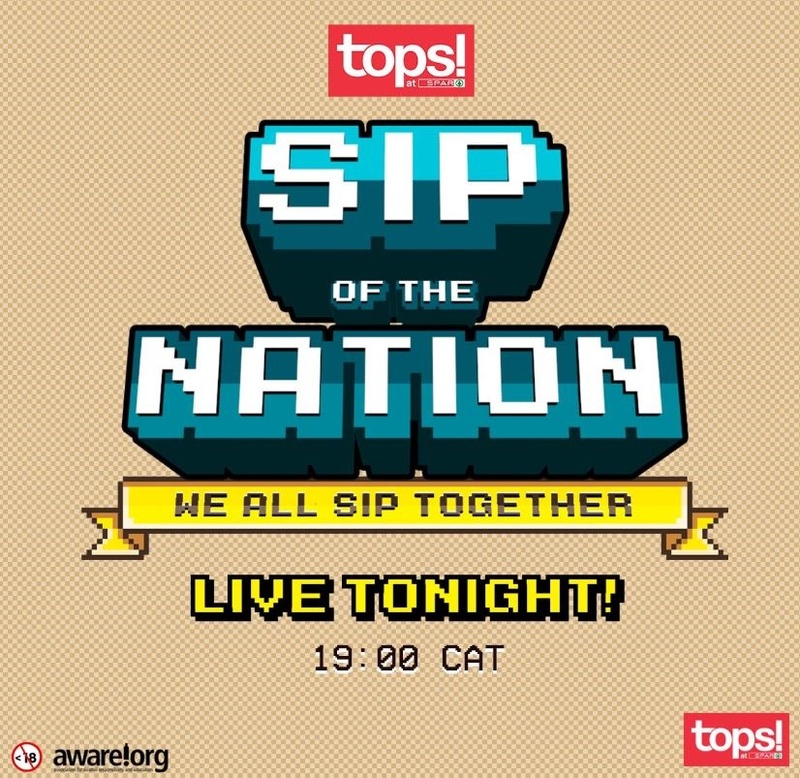 Dubbed "Sip of the Nation", the brand has called on its social media followers to take part in a nationwide drinking game. The rules are simple: each player needs to pick a drinking cue and when it appears (or is heard) during the SONA coverage, you need to sip. 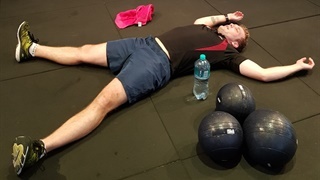 The cues include a red beret, a parliamentary walkout or someone sleeping - as well as the words "Point of order", "Honourable member" or "Comrades". There are also bonus categories: all participants have to drink if SONA is cancelled due to chaos, security is called in, anyone swears on air and if the word "expropriation" is mentioned. Users were polled on what alcohol will see them through the SONA, with beer clearly the tipple of choice. The campaign proved a hit among Twitter users, who had no qualms about Tops' call to get them drinking. I am more than ready. Bring it on. ??????#SipOfTheNation??#SONA?? All the tweets feature a logo of the Aware.org, an organisation that supports alcohol responsibility and education. Per capita, South Africa has among the highest levels of alcohol consumption in the world, and alcohol is the third-biggest contributor to death in the country. Last year, Aware was behind the controversial "drive-thru bar" campaign. Motorists along Johannesburg's busy William Nicol Drive were astonished to see a makeshift bar pop up on the road. 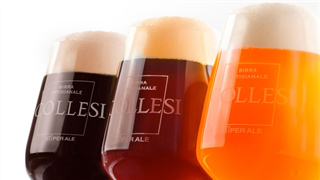 Huge public outrage followed, as well as threats from the police, before it was revealed that it was an Aware publicity stunt to create awareness about drinking under the influence.